Location: The Property is located at the southwest corner of San Carlos Boulevard and Prescott Street, Fort Myers Beach, approximately .6 miles north of Estero Island. San Carlos Court borders the Property on its south side. 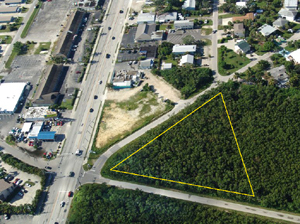 The 6 Platted Subdivision Lots total approximately 72,000 Square Feet of land. 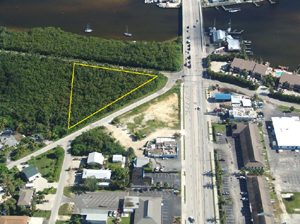 Mangroves dominate the lots and will need environmental permitting prior to development. 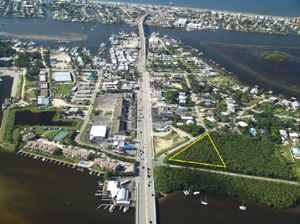 Each lot qualifies for a single family residence under the Lee Plan.